In 1921-22, Charles Deering finished his second winter mansion home in what was the center of Cutler, FL. Today, that estate sits in the heart of what is now Palmetto Bay and serves as a museum and party grounds. Deering lived on the 444 acres property for five years, from 1922 to 1927. The property consists of a three floor wooden house built in 1900, known as the Richmond Cottage, and a three floor stone mansion. Other buildings were also built on the property to serve as auxiliary buildings to the estate. Today was the first of three special days where the estate is open to the public for free. Living just 20 blocks away and never been there, I figured it was high time to take advantage. So, it was a ride on bikes from SW 152nd Street where the estate grounds essentially begins, ending up at the main house (SW 168th Street) entrance gate. 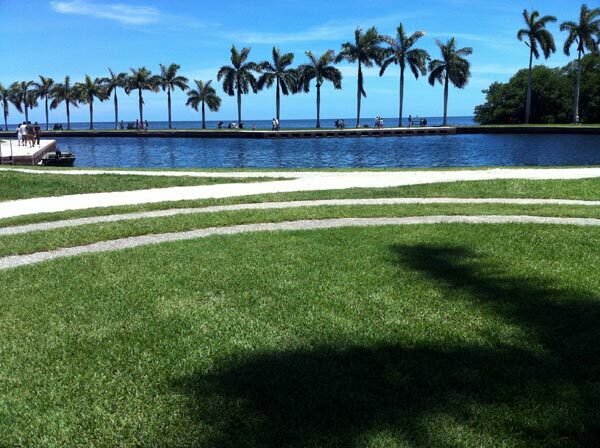 I was amazed at what was hidden right along the banks of Biscayne Bay (see above grounds picture). Several hundred others were there when I was there. Besides the guided house tours, you could stroll the grounds and look at the beautiful nature. 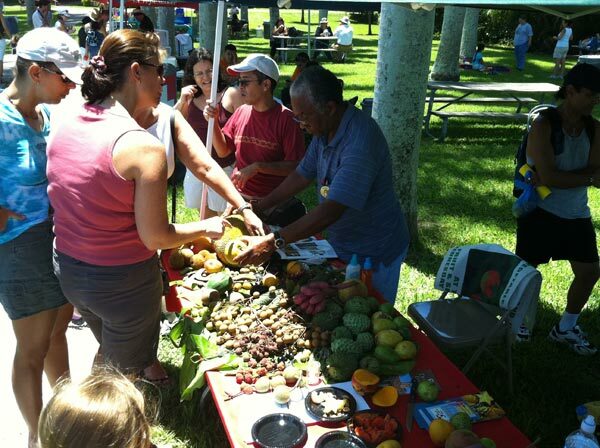 Several nature vendors were there to promote awareness of the surrounding ecosystem. The day was perfect for it. This tent (sponsored by the Tropical Fruit and Vegetable Society)was talking about all the vegetation native to South Florida, particularly what fruits, vegetables and spice are growing wild here. 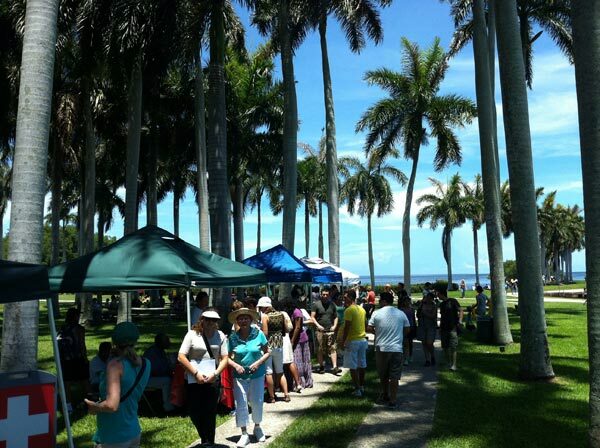 You could also rent canoes and head out onto Biscayne Bay for a great nature tour. This treat is available twice a month year round for those of you interested. 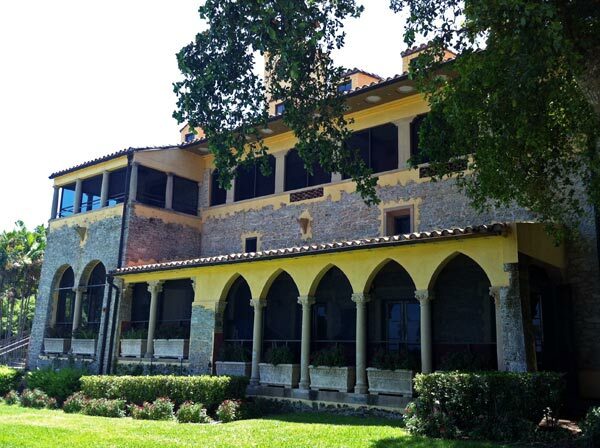 Owned and operate since 1989 by the Deering Estate Foundation, the site is an archeological, architectural, environmental and historic preserve not to be missed. Although we did not have time for the full tour, we did get to see much of the home. I found it very interesting that Charles Deering had the main Stone House for living and a separate house (Richmond Cottage) for cooking and eating. The Stone house didn't even have a kitchen! However, it did have this well hidden and protected wine cellar/safe. I guess he had some expensive vintage in there. Charles Deering was born in South Paris, Maine and, with his family, ended up the principals responsible for forming the International Harvester Company. Along the way, he seems to have traveled just about everywhere. I particularly liked this shot of him on the road outside Paris, France. I highly recommend that you visit the Charles Deering Estate on a lazy day when you just want to take in some history and beauty. There are neat architectural finds throughout the estate. My favorite was this exterior ceiling that connected two of the buildings. The estate is open every day from 10a to 5p, except Thanksgiving and Christmas. If you go, be sure to check out the nearby Thalatta Estate as well!